There are now a number of different companies, with a range of business models, each claiming to be able to successfully sell your home. As such, and often contrary to perception, there can be a wide variance of marketing and service levels offered to customers. With this in mind, I felt it might be useful to summarise what Jackson Grundy offer their customers so they may make an informed comparison with other companies. Arrange a convenient time to meet you at your property in order to provide a market valuation (in writing) by an experienced member of staff, almost always the Branch Manager. This will include advice on the best asking price, based on research of local comparable properties and experience, which will strike the right balance between achieving the highest price whilst at the same time successfully securing a buyer within a good time-scale. Discuss marketing strategy and service standards with you. In addition we will offer advice on how best to present your property to the market and identify key positive features to highlight. We will also confirm our fee and answer any other questions you might have regarding what we do or the process itself. Prepare attractive and informative property particulars including an appealing property description. Photograph the property to include front, internal and garden photographs. Measure your property and draw up a floor-plan which is then professionally produced using floor-plan software. Instruct/arrange your Energy Performance Certificate (if required). Compose and pay for advertising in the local newspapers. Add your property to our website and mobile site. Pay for your property to be listed on major property portals including Rightmove, Zoopla and PrimeLocation, as well as popular websites such as The Times, Telegraph, Independent, Mail Online, London Evening Standard and Northampton Chronicle & Echo. Invest in multi-channel marketing increasing exposure of our brand and website, therefore reaching a much wider audience for your property. This includes online advertising, newspapers, local magazines, social media, blog, and outdoor advertising . Make your property details available across all of our branches (via our computer network) in order to maximise its exposure to the market, whilst being allocated an ongoing main point of contact at your local branch. Distribute your property particulars via post and email to our extensive database of prospective purchasers. Erect (if required) a distinctive oval ‘For Sale’ board outside your property. Handle resulting enquiries, vetting their suitability to your property and encourage the arrangement of viewing appointments. Arrange viewing appointments, liaising with both potential buyers and sellers to confirm mutually convenient times. Provide staff to professionally conduct viewings of your property, highlighting positive aspects and answering questions posed by potential buyers. Follow up viewings in order to assess interest and/or obtain constructive feedback. Handle the negotiation of offers on the property in order to reach the desired sale price. Vet the buyer’s ability to proceed with a purchase, including understanding their financial position and checking chain details. Send out Notification of Sales letters to all parties. Monitor the progression of the sale, by liaising with vendor, purchaser, both sets of solicitors, other estate agents in the chain, mortgage brokers and surveyors. Confirm completion of the sale with solicitors, checking monies have been received and arrange key hand-over. I believe we are able to provide all the above components for a fee which is highly competitive. 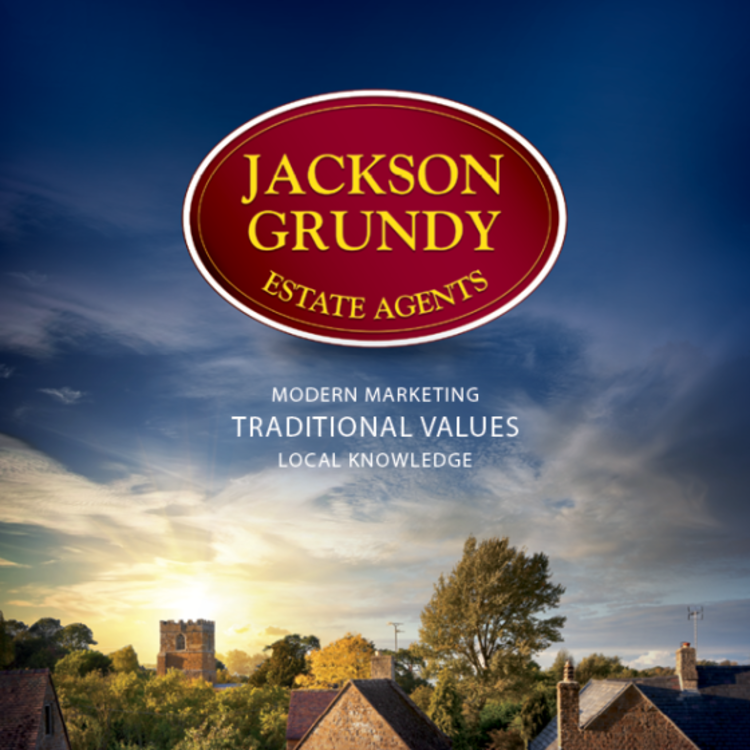 It is of course up to home-sellers to decide what balance of service/marketing and fee they require, however we are confident that Jackson Grundy offer great value for money. If you would like to arrange a free initial consultation, or indeed have any questions regarding the above, please feel free to contact me on 01604 753044.